Originally from Istanbul, where all the rich mystique of the East commingles with all the ambitious motion of the West, Evrim embodies the best qualities of his homeland. At the top of his classes in the most prestigious Turkish schools, he was awarded a scholarship to Duke, where he graduated with a Master's Degree in Engineering. He left a career at Intel to pursue photography full time to follow his passion. His artistic ability is only surpassed by his commitment to excellence: though entirely self-taught, he became virtually an overnight success story in the world of photojournalistic competition. 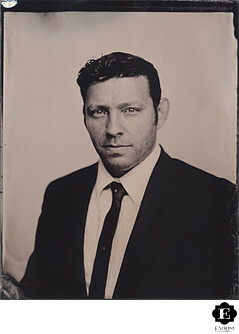 In his first year he entered the Wedding and Portrait Photographers International (WPPI) competition, he won first place. In 2006, he took home first-place trophies in the Wedding Photojournalist Association's 4 of the 10 categories, and won the runner-up position for worldwide Photographer of the Year. He won first place again at WPPI in 2007 and in 2009, he was awarded the Best Wedding Vendor award by Oregon Bride Magazine readers and vendors. Using digital and infrared techniques, digital darkroom skills as an extension to his classic darkroom experience, and the possibilities available through technology, Evrim is as savvy as he is passionate. He takes advantage of all the tools available to his profession, in order to create art while maintaining the integrity of the story. Profound sensitivity toward the communal nature of relationships saturate his work with complexity and depth. His artistic vision is great enough to include diverse elements: the background, the secondary stories, and, of course, the leading cast. His photojournalistic eye appreciates the added interest of scene and his portrait skills immortalize couples. His goal is always to be un-invasive, and he knows that part of his role is to put people at ease with his presence. The result is an unparalleled candor. He is able, through his own relaxed nature, to reveal what is beautifully genuine in the people around him. Evrim routinely is requested to travel to various parts of the world for assignments, including Costa Rica, Maui, Istanbul, and Mexico and also photographs many events for clients such as Microsoft, Intel and other Fortune 500 companies.